Idea Cellular has come up with a new prepaid recharge pack priced at Rs 159, said the telecom operator on its official website, ideacellular.com. Under this recharge pack, Idea offers unlimited calling, 1 GB data per day among other benefits for a validity period of 28 days. 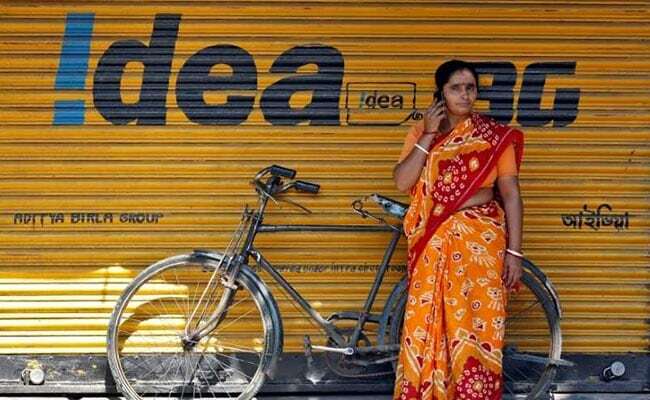 Idea's new plan comes amid high competition in the telecom industry. The telecom industry in the country has witnessed high competition since the launch of Reliance Jio in September 2016, which compelled Vodafone India and Idea Cellular to join hands. Under its Rs 159 prepaid recharge plan, Idea is offering unlimited local, STD and roaming calls with 1 GB data per day, which is valid for 28 days. Subscribers also get 100 SMSes per day during the validity period, said Idea. Vodafone India and Bharti Airtel also offer a prepaid plan priced at Rs159 whereas Reliance Jio offers Rs. 149 prepaid plan. Under this plan, Vodafone is offering unlimited local, STD and roaming calls. The pack is also bundled with 1 GB of 4G/3G daily data and 100 SMSes per day. The pack is valid for a period of 28 days. However, Vodafone's unlimited calling is capped at 250 minutes per day and 1,000 minutes per week. Under its Rs. 159 prepaid recharge plan, Airtel is offering unlimited local, STD and roaming calls with 1 GB data, which is valid for 21 days. Subscribers also get 100 SMSes per day during the validity period, said Airtel. Under this pack, Reliance Jio offers 42 GB of data with a daily limit of 1.5 GB. This recharge pack comes with a validity of 28 days and includes unlimited calling, 100 SMSes per day and complimentary subscription of Jio apps.